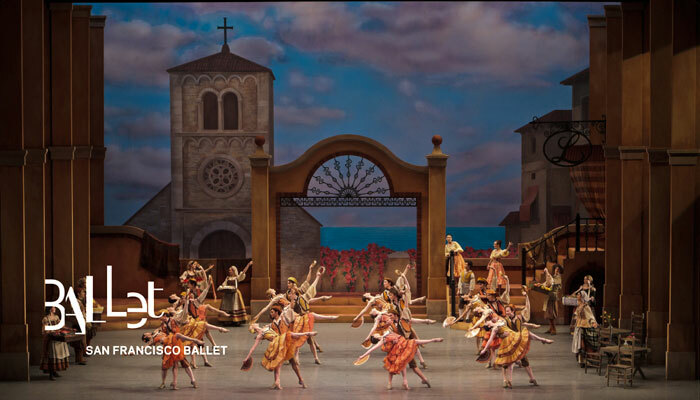 Joyful, lively and colorful, with dazzling choreography and a wonderfully melodic score by Ludwig Minkus, Don Quixote deservedly holds a place as one of San Francisco Ballet’s most popular productions – and this year the ballet celebrates its 150th anniversary. 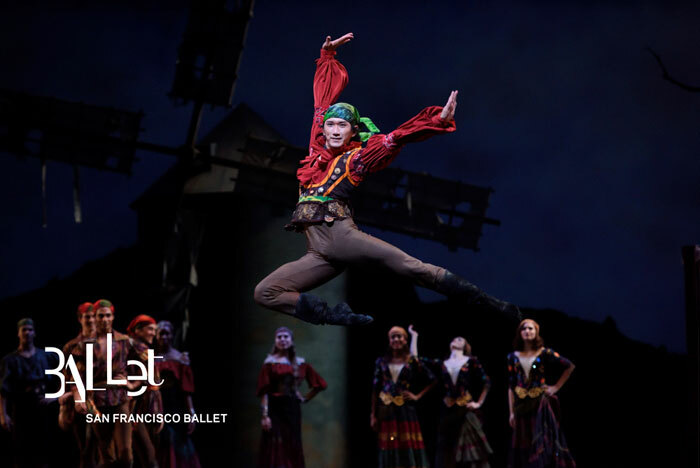 One of three full-length narrative ballets to be presented by San Francisco Ballet this season, Don Quixote draws its inspiration from two chapters of Miguel de Cervantes’ classic novel, focusing more on the love story played out between innkeeper’s daughter Kitri and the town barber Basilio, than the story of Don Quixote and his quest to find his beautiful Dulcinea. Nevertheless, The Don on his gorgeous white steed, his counterpart, Sancho Panza, and those windmills, play a supporting role in the story. Jim Sohm in Tomasson/Possokhov’s Don Quixote. Don Quixote the ballet was first produced in Vienna in 1740, by Austrian dancer and choreographer Franz Hilverding, and was followed by various productions in Europe, none of which has survived. In 1869 Marius Petipa was asked to create a new version of Don Quixote for the Imperial Bolshoi Theatre in Moscow, which he followed with a much grander production in St Petersburg in 1871. It was in 1900 that Russian dancer and choreographer Alexander Gorsky staged a revival of Petipa’s ballet in Moscow in 1900, a production which was performed in St Petersburg in 1902, and it’s this Petipa/Gorsky interpretation of Don Quixote which formed the basis of all modern productions. It is also the interpretation on which San Francisco Ballet’s Artistic Director, Helgi Tomasson, and Resident Choreographer, Yuri Possokhov, based their original 2003 production, which included additional detail which Possokhov was able to provide, having been personally involved with the work during his time as a student at the Bolshoi. The production which we now see dates from 2012 when the ballet was completely restaged – the choreography from 2003 remained unchanged, but the costumes and design, by the late Martin Pakledinaz, were completely new. 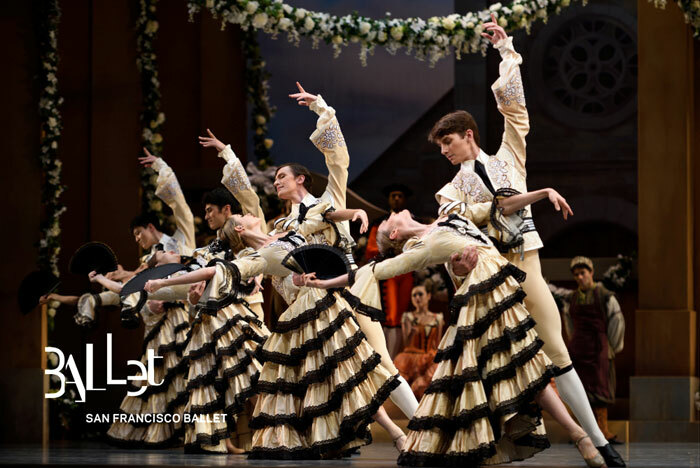 Styled on 19th century Spain, these designs, in combination with the artistic creativity of Tomasson and Possokhov, deliver a production which is unique to San Francisco Ballet. Czech composer and violinist Ludwig Minkus wrote several very popular ballet scores, many of which are still widely performed today, among them two which are probably his best known – Don Quixote and La Bayadère. Austrian by birth, Minkus’ first involvement in composing for ballet was assisting composer Édouard Deldevez in the score for Paquita in Paris in 1846. He later travelled to Russia and ultimately joined the newly created Moscow Conservatory as a professor of violin studies. Don Quixote for the Bolshoi was his first great success, leading to his appointment as official composer of ballet music to the Imperial Theatre in St Petersburg, where he and Marius Petipa enjoyed a fruitful creative relationship. 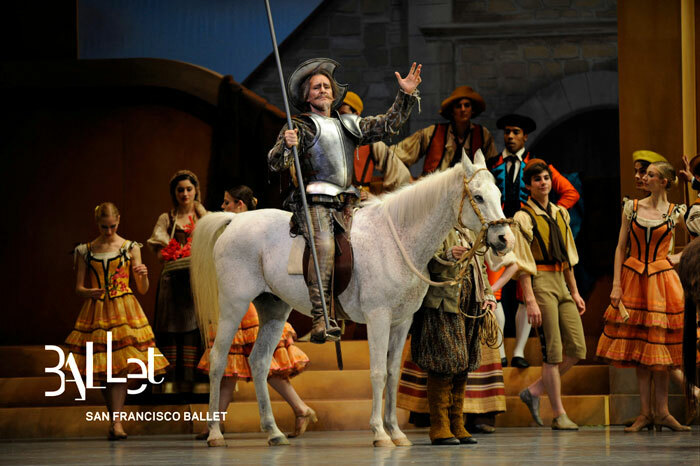 San Francisco Ballet presents Don Quixote at the War Memorial Opera House from January 25th to February 3rd. 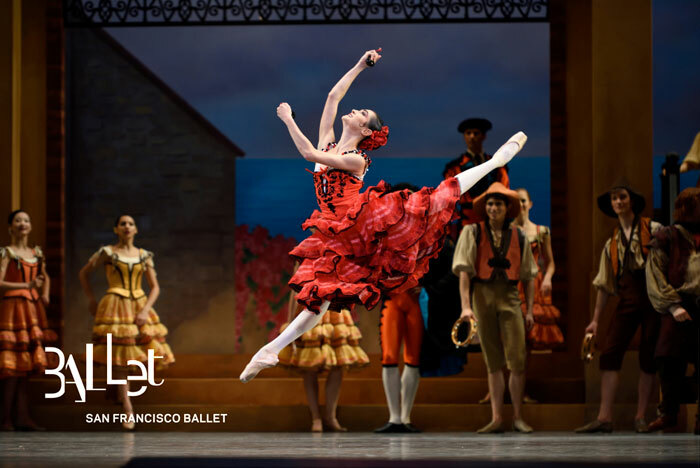 At this opening performance, the cast will be headed by Mathilde Froustey in role of Kitri, with Angelo Greco as Basilio. Martin West conducts the San Francisco Ballet Orchestra. 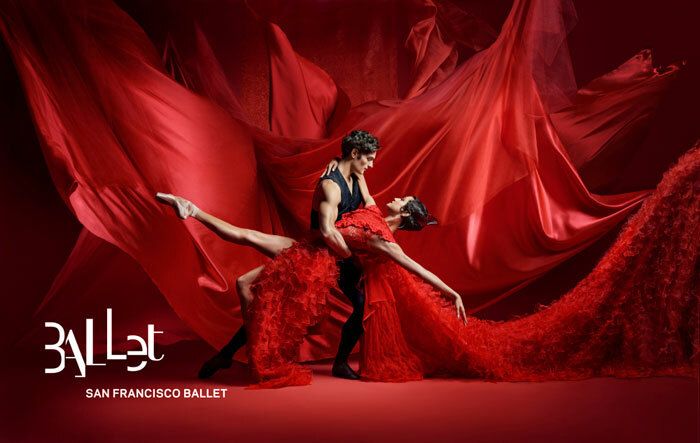 For more information and tickets, visit the San Francisco Ballet website. By Gilly Lloyd. Bookmark the permalink.